Little Office of the Blessed Virgin Mary: 31. THE ASSUMPTION. This day let us rejoice; for we have long meditated on the sorrows of our Mother, and have sought in them consolation and example for ourselves. We must now speak of her glory, of the glory which rewards her virtues and sufferings, as the harvest rewards weary labour, and seeds sown in due season. And what hopes will not mingle with the filial joy of the children of Mary, when they meditate on the grandeur, and the holy lessons, of her glorious Assumption. In the life of their Mother they have seen the type of the Christian life, perfected and transfigured. In her Assumption they will also see the sublime and transfigured type of their life beyond the grave. Doubtless no other creature will' ever attain to like glory, because no creature ever received graces like those which God dispensed to Mary, in consideration of her Divine Maternity; because no creature ever corresponded so faithfully to graces received; because no earthly sorrows ever resembled her sorrows, or merited a like reward. But in the sublime perfection which shines in Mary's life, we see what ours may become; and in the brightness of her glory in heaven, we see what may one day be our beatitude. Humble imitators in this world of the most perfect of creatures, we may in eternity be the humble subjects of the Queen of Heaven. Everything is linked together, everything is uniform in the works of God. Death, as we have more than once said, is like the echo of life. Now the life of Mary being, by its perfection, above all human lives, her death cannot resemble that of the other children of Adam. Predestined by God, from the first promise of a Saviour, prepared by every grace for the miracle of her divine Maternity, how can we think of her as tainted by the corruption of the grave? Conceived without sin, the sting of death should have no power over her, for death, as we know, came into the world in consequence of original sin. The end of her earthly life was the same through which all human beings pass, only because she too is human, and because that nature which her Divine Son took of her is the same with our own. But in her death there is no terror, no bitterness, and when a flight of love united her blessed soul to her Son, God did not permit the virginal body, once the sanctuary of the Eternal "Word, to turn to dust, as does our miserable flesh, corrupted from the beginning by sin. Chosen by God to participate in the holy mysteries by which our salvation was accomplished, she was to follow into heaven the Saviour "Whom she gave to the world, the Divine Son Whose sufferings she had shared.
" The mystery we are celebrating," says Bossuet, " has a peculiar connection with the Incarnation of the Eternal Word. For us the divine Mary formerly received our Saviour Jesus; it is just that our Saviour in His turn should receive the happy Mary, and that, having deigned to descend into her, He should afterwards raise her to Himself, and receive her into glory. We must not then Wonder that the blessed Mary rises with so much splendour, nor that she triumphs with so much majesty. Jesus, to whom this Virgin gave life, gives it back to her in gratitude to-day. And as God never suffers Himself to be surpassed in magnificence, though the life He had received was but mortal, it became His Majesty to give His Mother in return, a glorious life in heaven. Thus are these two mysteries bound in one. Lastly, that the likeness may be still greater,, the angels took part in both, and shared in Mary's joy at the crowning of the mystery they had been the first to announce." What shall we then say of the mystery of the Redemption, and of the sorrowful share taken in it by the holy Mother of the Redeemer ? We hay? seen her standing at the foot of the cross, suffering in her heart all that Jesus suffered in His body; we have seen that the grief of this Divine Mother added to the sufferings of Jesus, and that, according to, the prophecy of Simeon, for our salvation the same sword pierced the soul of the Son and the soul of the Mother. If Jesus said to the disciples going to Emmaus, "O foolish and slow of heart............ ought not Christ to have suffered these things, and so enter into His glory?" could it be that these things suffered by her in union with her Son, should not be the way to glory for Mary as well as for Jesus ? Could it be that she who had had so bitter a share in His sufferings should not have a magnificent share in His triumph ? Could it be that the glorious ascension of Jesus should not find as it were an echo in the glorious Assumption of Mary, since every detail of the life of Jesus had its echo, either of joy or sorrow, in the soul of His Mother? We cannot doubt this truth. The glory of Mary is as certain as her predestination, as her immaculate conception, as her Divine Maternity, as her sufferings united to those of her Son: moreover, it has been acknowledged and taught by the Church from the beginning, and supported by the testimony of the Saints in all ages. "We know but little of her death and triumph, for the deep humility which veils from us everything in her blessed life which is not inseparably united to that of Jesus, veils from us also the end. The Evangelists who, under the direction of the Mother of God, recorded the highest mysteries of the Incarnation and Childhood of the Word, and showed us every action of Mary which reflected the light of Jesus, guided by her humility, kept silence on the details of her twenty years of exile and apostleship after the ascension, and also of her blessed death. But as the memory of a beloved mother is preserved by dutiful sons, and the circumstances of her death are transmitted by them as a precious lesson to their children, so the tradition of that blessed death has passed through all ages and has come down to us. This tradition tells us that the Blessed Virgin Mary remained on earth until the age of seventy-two years, to enlighten and console the infant Church. " Jesus," says Bossuet, "had left in this world the Church, His Spouse, young, widowed, desolate and without support; Mary was given to her to be her support, and the sole consolation of all the faithful on the earth. In each one of its members she saw her Son. Her compassion was a prayer for all who suffered; her heart united itself with the hearts of those who were in sorrow, to aid them in their cry for comfort; with all charitable hearts, to urge them to hasten to relieve, support and console the distressed and afflicted. She shared the work of every apostle who proclaimed the Gospel, of every martyr who sealed it with his blood, of every one of the faithful who observed its precepts, attended to its counsels, and imitated its examples." But at length the time came, when the Church was to exchange the blessing of her presence, for the blessing of her intercession in heaven, Then her mother's love, of which nothing here below can give us an idea, burst the earthly dwelling which detained her soul. It is said, that the Child of David came back to Jerusalem to die, still accompanied by the beloved disciple; that the report of her approaching death gathered many of the apostles round her bed, and that with them, were St. Timothy, first bishop of Ephesus, and St. Denis the Areopagite, who himself speaks of it in his writings. " Then," says Bossuet, " the divine virgin, without pain or struggle, gave back her holy and blessed soul into the hands of her Son As the lightest touch separates a ripe fruit from the tree, as flame of itself rises and mounts upwards, so was this blessed soul gathered, to be immediately transported to heaven. Thus did the divine virgin die, by a flight of divine love. Her soul was borne to heaven in an incense cloud of sacred longing, and therefore do the holy angels say: Who is she who goes up like the sweet-smelling breath of myrrh and incense? Tradition says that the angels appeared round the bed of their queen, and their songs accompanied her blessed soul to heaven. In the mean time, the weeping apostles bore the body of their mother to the Garden of Gethsemane, and reverently buried her in the place where the Body of Jesus had rested. 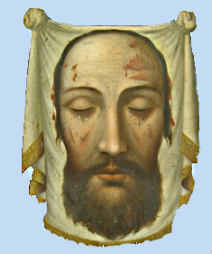 They had watched for three days by the sacred tomb, when the apostle St. Thomas, who had been prevented by distance from arriving in time at the bed side of his holy mother, asked as a last grace to see her face once more. His brethren yielded to his tears and prayers, and opened the tomb. They found nothing there but the flowers, scattered by the hands of the faithful in the cave of Gethsemane, and the linen cloths in which the virginal body had been wrapped. The venerable sanctuary of the Eternal "Word might not become the prey of worms, and the apostles enlightened by the Holy Ghost, understood their mother's triumph, and invoked in heaven her for whom they had wept on earth. 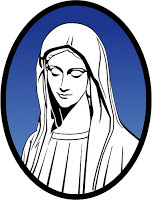 In contemplating this blessed death, this assumption of Mary into the glory of heaven, the natural end and consequence of her life, we see how the wonderful humility which marks the whole of Mary's earthly career is preserved even to the end. We see the marvellous contrast and the close union between the glory of the Mother of God, and the voluntary lowliness of His handmaid, poor men, with staffs in their hands, come and group themselves round a death-bed in a poor dwelling. But all heaven is reflected in the looks of her who is dying, and the hour which to us is the bitter hour of the last combat, is to her the hour of triumph. The angels come and bear her away as a queen, and her earthly sons hardly dare to weep for her. She is buried without pomp, without splendour. Grief itself is silent by this tomb at which the apostles and their brethren of Jerusalem are watching; the songs of the angels mingle with their hymns on the hill of Gethsemane, and when at the entreaty of one of their brethren they reopen the tomb, nothing remains but flowers and perfumes. Mary's blessed body is gone up to heaven, leaving no trace on the earth; but the apostles learn that the Lord hath regarded the humility of His handmaid, and that she is in heaven, living in her blessed soul and glorified body, seated at the foot of the throne of her Son, and stretching her spotless hands towards Him to implore pardon for men. "O Mother of Jesus Christ!" cries Bossuet, " because thou didst call thyself handmaid, this day humility prepares a throne for thee. Seat thyself upon this high throne, and receive the sceptre of power over all creatures. O virgin, all holy and all innocent, purer than the rays of the sun, thou wert willing to purify thyself, and to mix among sinners. Thou shalt be their second refuge, and their chief hope after Jesus Christ. Refugiim peccatortm. Thou didst lose thy Son; He seemed to have quitted thee, leaving thee to sigh so long in a strange land. Because thou didst submit with patience to this humiliation, thy Son will reassume His rights, which but for a short time he had yielded to John. I see Him, O happy virgin, He holds out His arms towards thee, and after thee the whole court of heaven gazes with admiration, as thou goest up overflowing with delights,, leaning upon thy Beloved," Thou art indeed leaning on thy Beloved, O Blessed Virgin! From Him doth all thy glory flow; His mercy is the source of all thy merits; and if it be true that the harmony of this universe is maintained by the music of the celestial spheres, may they now intone a new hymn of praise; may the heavenly virtues by whom their movements are directed, invite them to give new signs of joy. And if it be lawful for us to imagine scenes so majestic, I picture to myself that as he gazed upon his Queen, Moses could not but repeat that beautiful prophecy left to us in his books: t€ A star shall rise out of Jacob, and a sceptre shall spring up from Israel." Isaias, filled with the Spirit of God, sang with ineffable joy, "Behold that Virgin who was to conceive and bring forth a Son." And in the midst of them all, the Royal Prophet David, to the sound of his heavenly harp, poured forth this wondrous canticle, " The Queen stood on thy right hand in gilded clothing, surrounded with variety. All the glory of the king's daughter is within, in golden borders clothed round about with varieties. After her shall virgins be brought to the king, they shall be brought with gladness and rejoicing." Then the blessed spirits were silent, and Mary herself from the bottom of her soul, once again poured forth those wondrous words : " My soul doth magnify the Lord, and my spirit hath rejoiced in God my Saviour. Because He hath regarded the humility of His handmaid; for behold from henceforth all generations shall call me blessed." Thus ended as it had begun, the most humble and glorious of all lives. It is because the Lord hath regarded the humility of His handmaid, that all generations 0 shall call her blessed. Let us then, the sons of saints, disciples of Jesus, and children of Mary, let us take with us to-day from the foot of her altar, the same deep conviction of this truth which the apostles long ago took with them from her tomb. Let us learn from heir, as from her Divine Son, to be meek and humble of heart. Every day as we invoke her aid, let us labour to root out pride from our souls, and patiently to gather up a treasure of humility, which at the last day may be our riches and our hope. May it please God and His holy mother, our advocate and our model, that this month, dedicated to the meditation of her life, may have excited in us all a strong will to serve God. Let us ask this grace for one another, and may we one and all attain the blessings which are the portion of the humble on earth and in heaven. O holy Mother of God, is so glorious in thy humility, so humble in thy glory, teach us the love of that virtue which shines forth equally in thine earthly life, and in thine eternal reign in heaven. Teach us quite to forget ourselves, to love Jesus above all things, and to accept everything for the love of Jesus, O thou who even in the bosom of eternal blessedness hast so merciful a tenderness for sinners! And whilst thy maternal power is appeasing the justice of thy divine Son, may the conquering attraction of thy maternal love, also draw thy sinful children into the paths that thou hast opened to them, in which thou hast walked before them, and in which they can follow thee! May they, by the grace of God and the help of thy prayers, ever follow the holy banner of thy humility. Under it will they be victorious in all combats, and will obtain a share in thy glory. Amen.